As reported at CNS News, the federal government collected a record $2,007,451,000,000 in total taxes through the first seven months of fiscal 2018; however, still managed to run a deficit for that period of $385,444,000,000. This country has got to get serious about its spending issues and prioritize them. The days of the welfare state are over. 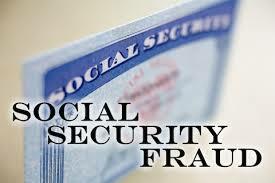 Serious consideration needs to be looked into Medicare and social security. However, for those who blame the Trump tax cuts, you would be wrong. In the month of April itself, the Treasury collected $510,440,000,000 in total taxes, while spending $296,192,000,000 thus, running a surplus for the month of April of $214,255,000,000.Wastful spending must be done away with and Republicans who spend like liberal Democrats must be removed from office. The record total federal taxes collected during this period also included a record $1,050,601,000,000 in individual income taxes—marking the earliest in any fiscal year that individual income taxes have topped $1 trillion. But even while the Treasury was collecting its record $2,007,451,000,000 in total taxes from October through April, it was spending $2,392,896,000,000—thus, accumulating a deficit of $385,444,000,000. April was best month in history for U.S. budget, according to CBO figures. 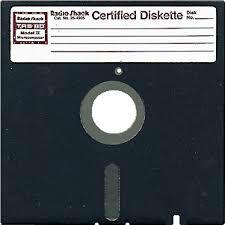 As reported at CNBC, the United States Department of Defense is still using 8 inch floppy disks in 2016. Are you kidding me, I had no idea they were even still available. According to the report, the 8-inch floppy disks are used in a computer system that coordinates the operational functions of the nation’s nuclear forces. UNREAL. So lets get this straight, we are spending tax payer dollars on the US military and national defense for military trans-gender sensitivity training and creating a “green Navy fleet,” but they can’t see to upgrade the IT systems that handle and coordinate nuclear force operations? Maybe they use the ’80s flick “War Games” as a training film, too. Americans are fed up with the increasing and oppressive government. 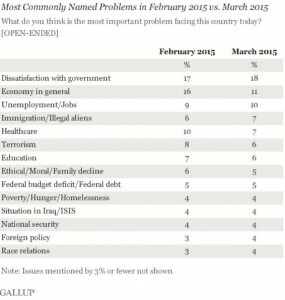 In a recent Gallup poll, Americans named the government as the biggest problem facing the United States. For the past 4 months, the government has been named the biggest problem facing “We the People”. They are correct. Even with such issues as terrorism, healthcare, race relations and immigration are extremely important problems facing Americans, the government, the economy and unemployment have been at the top of the list for the past year. 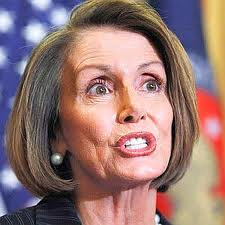 In the end, it is our lawless government that refuses to follow the US Constitution, our government that fails to adequately deal with border security, our government that makes the Middle East worse, our government that continually regulates us in a way that our Founding Fathers never intended and our government that spies on us and treats law-abiding, legal US citizens as a greater threat than terrorists. Americans have grown weary of a government that could care less about the people and only about their power. Every day we are witness to a Democrat president who shreds the Constitution and a gutless Republican Congress who is too cowardice to defend it. The government is America’s most important problem, according to a new poll. In a Gallup poll released Thursday, 18 percent of Americans named government as the biggest problem facing the U.S. The economy trailed closely behind as an important problem with 11 percent, followed by “unemployment/jobs” at 10 percent. The poll shows a slight increase in those who are dissatisfied with government. 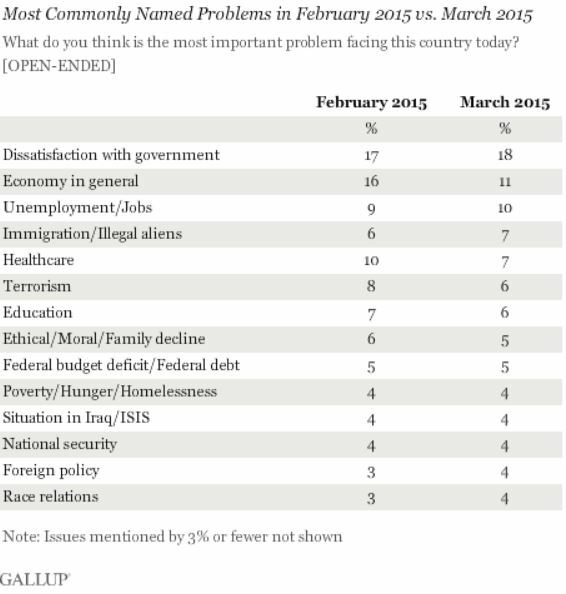 In February, 17 percent answered that the government is the most important problem. Americans also seem to be optimistic about the economy. Last month, 16 percent of Americans said that the economy was the most important problem — nearly tying with government. That figure is now down 5 percentage points. Major survey finds record low confidence in government. Americans’ confidence in all three branches of government is at or near record lows, according to a major survey that has measured attitudes on the subject for 40 years. The 2014 General Social Survey finds only 23 percent of Americans have a great deal of confidence in the Supreme Court, 11 percent in the executive branch and 5 percent in Congress. By contrast, half have a great deal of confidence in the military. Ronald Reagan also said so many years ago, “We are a nation that has a government. Our government has no power except for that granted by the people. It is time to check and reverse the growth of government, which shows signs of having grown beyond the consent of the governed.” WAKE UP AMERICA!! !